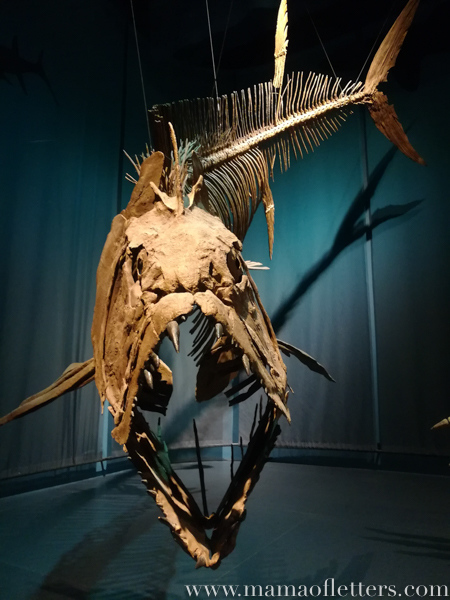 Several years ago I wrote an informative newspaper column about the Tellus Museum that you can still read, but it’s worth writing about briefly again. Since that first visit, we have been to the Tellus many times, and one year, we had a family membership. But we hadn’t been there in a very long time when we went this summer. That’s the day we also went to the Booth Western Art Museum. It’s great going back to museums as our kids get older. Not only do we get to see new additions to the museum, it’s fun to see what our kids are attracted to at different ages. 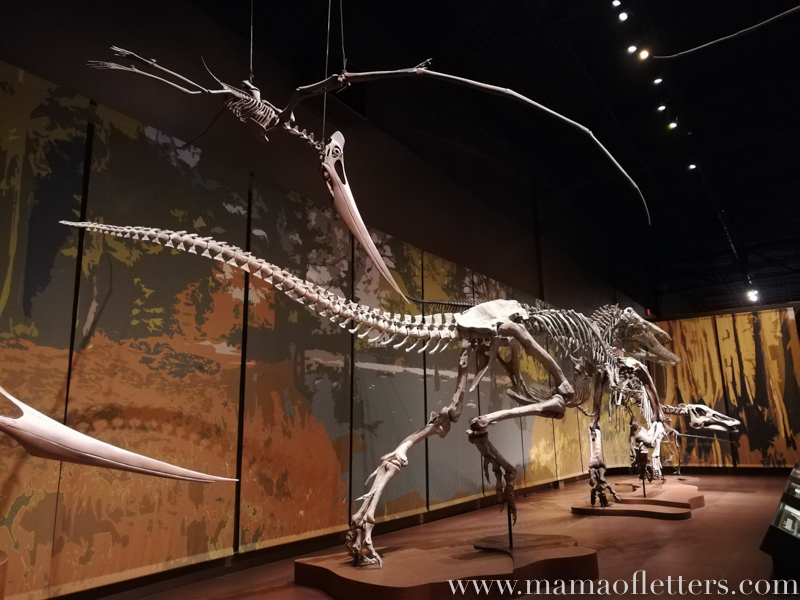 When they were younger, we spent more time in the dinosaur exhibit and with the hands-on kids stuff, especially digging for fossils and panning for gems. 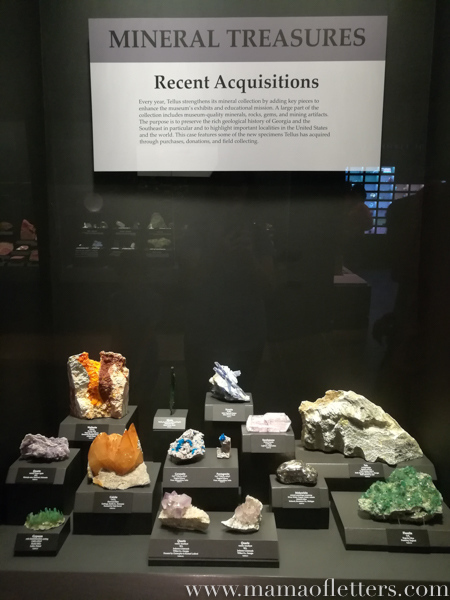 We looked through the whole museum back then too, but we couldn’t linger as long in my favorite area, which is the Weinman Mineral Gallery. But this time we did. In fact, we spent the most time there, and it was great. 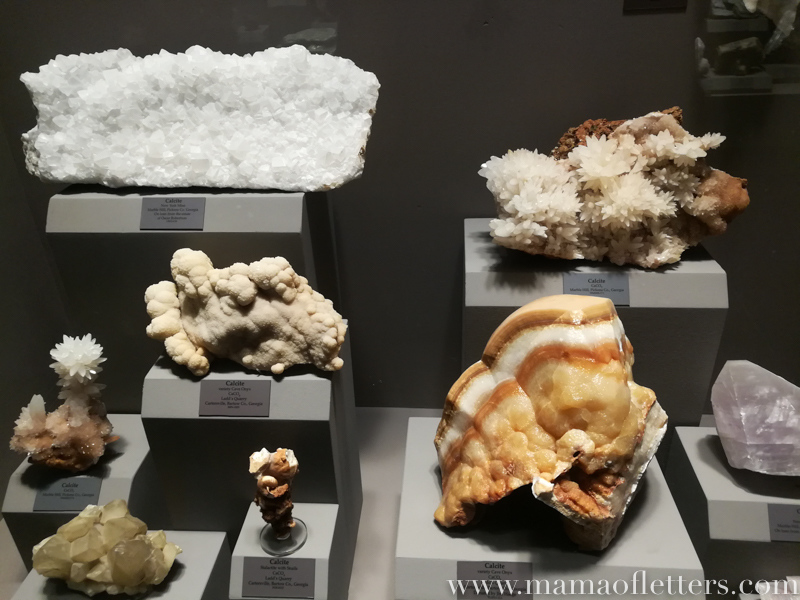 The boys were much more interested in scrutinizing the beautiful rocks and minerals, and I even read a few of the signs to them. This is why most of my photos are of rocks and minerals this time. 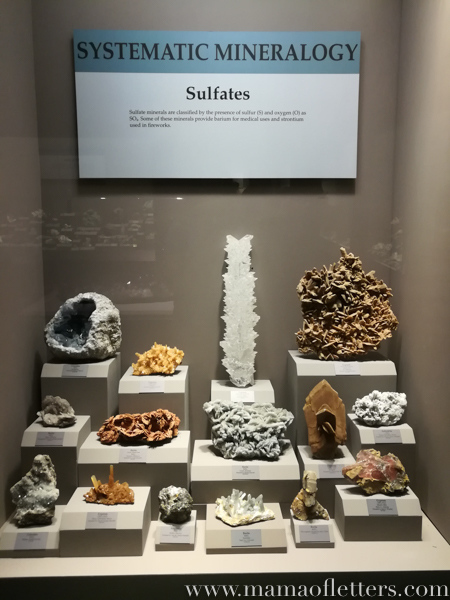 I hope you enjoy them, and if you get the chance, I highly recommend that you visit this museum to see them for yourself.